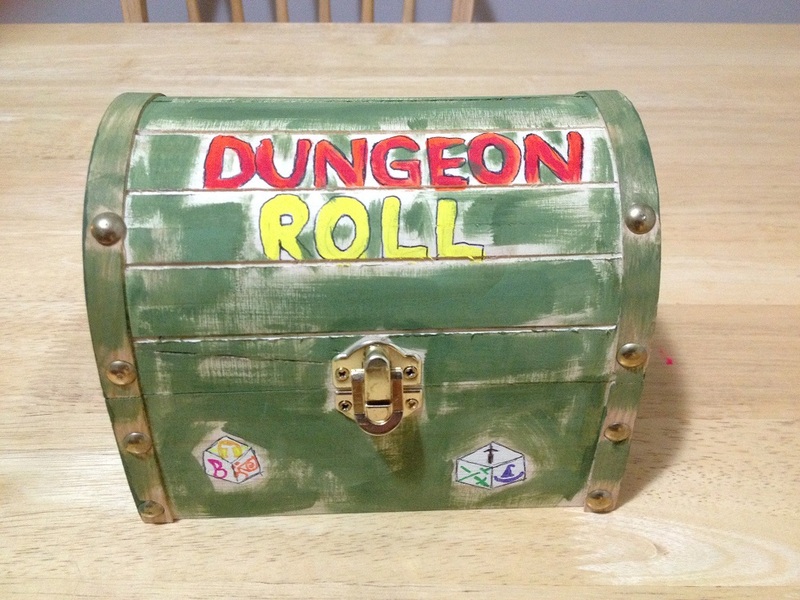 Awhile back, I wrote about a dice game called Dungeon Roll. It’s a simple, fun game, but I’ve felt like the thin cardboard treasure chest that holds everything would eventually fall apart. So, this past weekend, my son and I were getting ready to head out of town to a father/son safari camp. My wife mentioned that she and my daughter would be going to a craft store over the weekend while we were gone. 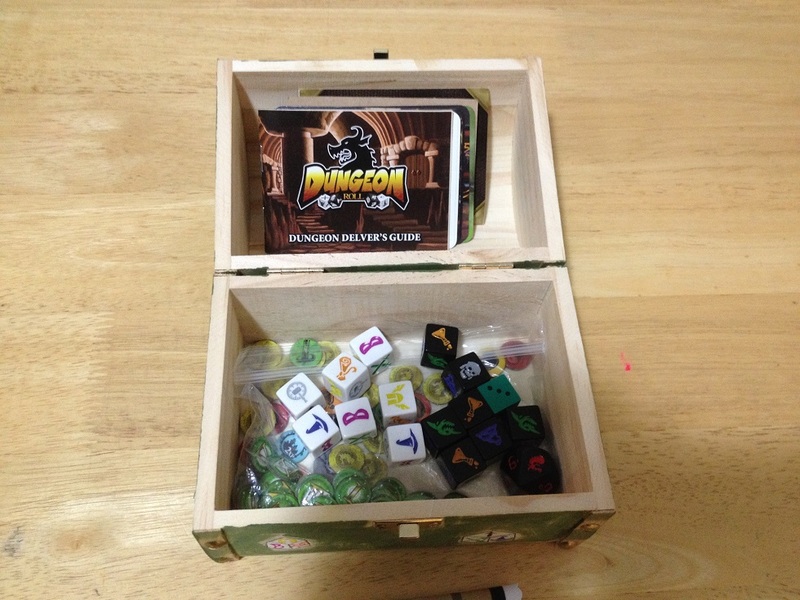 I asked her to see if they had any small wooden treasure chests that I could use as a custom box for Dungeon Roll. By the time we got back from camp, I had forgotten about our conversation about the wooden treasure chest. My daughter says to me, “Dad, I’d really like to play Dungeon Roll today.” Still didn’t remember the conversation. So after getting some things unpacked and getting settled back in, I went to get Dungeon Roll. I looked in the spot where we keep it, and I couldn’t find it. There was some little wooden chest in the way, so I moved it out of the way and kept looking. Still didn’t remember the conversation about the wooden treasure chest at the craft store. I moved some more stuff around and still couldn’t find the game. Right there, plain as day, with big colorful letters. And even dice painted on the front. My wife had found a perfect sized treasure chest and painted it while we were gone, and put all of the game contents inside. This was a super cool surprise! Everything fits nicely inside, and there’s even a little more room in this treasure chest than in the original cardboard treasure chest. So I played a game with my son and daughter, and my daughter proceeded to wipe the floor with us, but we had a lot of fun. Now I guess I just need to work on my observation skills specifically for those times when I’m looking for a game box and someone has replaced it with a custom one (which, admittedly, isn’t that often).